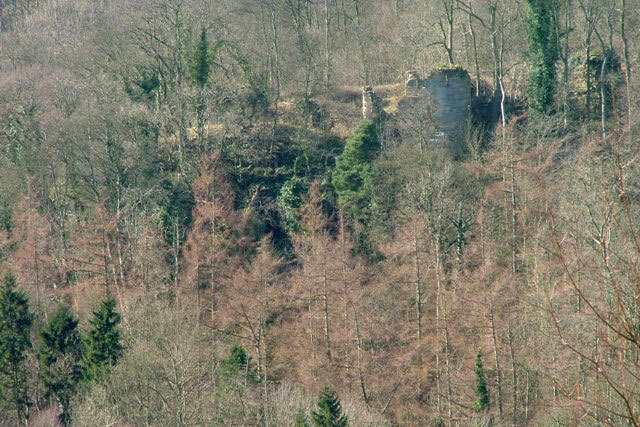 The first castle is thought to have been constructed in timber at Kilton between 1135-40 on a long and narrow rocky promontory where it commands the valley of the Kilton Beck. The remains visible today are those of the later stone built castle constructed about 1190-1200. The castle was abandoned as a dwelling soon afterwards, and by the 16th century it had been abandoned. The castle was protected by steep slopes and a wide moat and a curtain wall, which still stands beween 5 and 15 feet high. The wall was protected by towers on the corners, the largest of which is on the north wall. The castle is on private land with no public access.